Location and cleanliness of property. The secure, bright car park. Location. Secure parking on site was a great bonus. Quiet, clean and comfortable. Fantastic location and great support for checking in. The flat was very comfortable and had everything you could need for a few days away. It's spacious, very comfortable and warm. The furniture is comfortable and everything was very clean. The staff is friendly and efficient. The facilities are very good. The location close to city center and is very convenient. 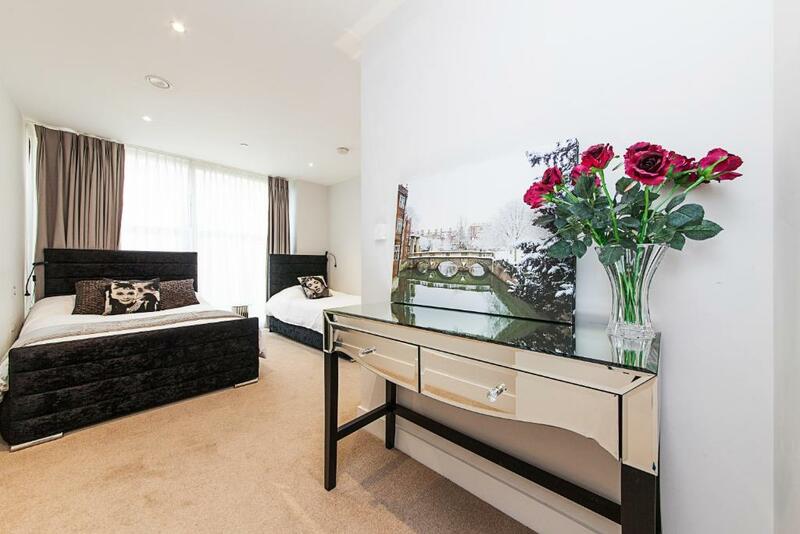 Lock in a great price for Pinnacle Residences - Central Cambridge - rated 9.1 by recent guests. Pinnacle Residences - Central Cambridge offers accommodation in central Cambridge, next to Parker’s Piece Park. It features modern, well-equipped studios and apartments with free WiFi. All accommodation at Pinnacle Residences - Central Cambridge has minimalist décor and lots of light. There is a living area with a flat-screen TV, and kitchen facilities including 2 fridges, kettle, hob, toaster and a fridge. There is also a washing machine. Some apartments open onto a terrace. The property offers free, secure onsite parking and bicycle storage. Restaurants, bars and shops can be found in the streets surrounding the apartments. There is easy access to Cambridge University’s beautiful college buildings, while the River Cam can be reached in a 15-minute walk. Cambridge Railway Station is less than 1 miles away. 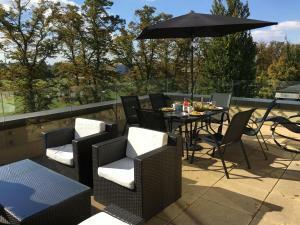 Pinnacle Residences - Central Cambridge has been welcoming Booking.com guests since 14 Nov 2013. 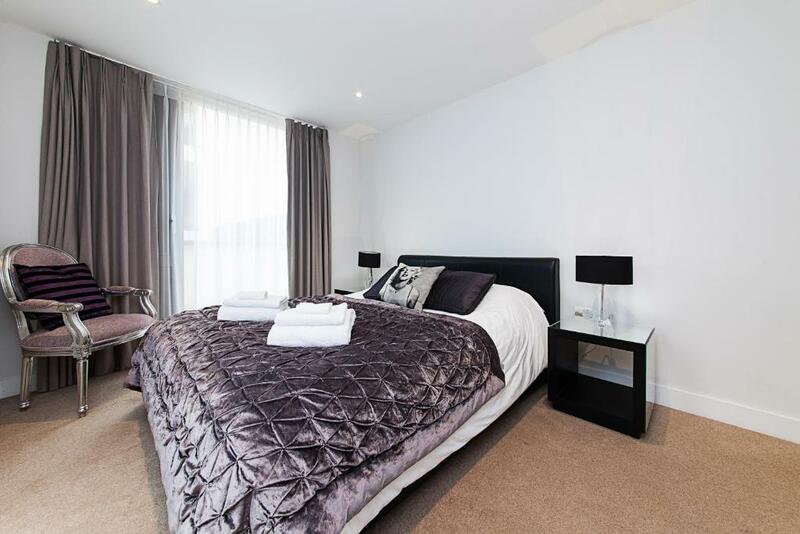 When would you like to stay at Pinnacle Residences - Central Cambridge? This modern studio has stylish, minimalist décor and plenty of natural light. There is a living area with a double bed, a sofa bed, and a kitchenette with a fridge, hob, kettle and a toaster. There is also a washing machine. Towels and linen are included. 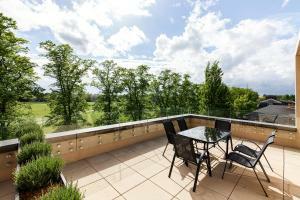 Looking onto the park, this duplex penthouse apartment opens onto a large roof terrace with a table, chairs and sun loungers, offering a great view of Parker's Piece and Cambridge's historic skyline. It has stylish décor and lots of light. There is an open-plan living area with a modern, fully-equipped kitchen, a dining table, sofa, armchairs, and a flat-screen TV. There are 3 bedrooms and 2 bathrooms, one of which is en suite. 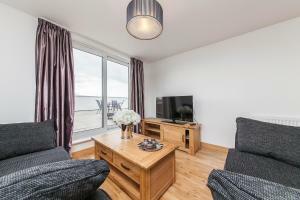 There is also a washing machine and a separate additional lounge area with a large sofa. Looking onto the park, this penthouse opens onto a large roof terrace with a table and chairs, offering a great view of Parker's Piece and Cambridge's historic skyline. It has contemporary décor and lots of light. There is an open-plan living area with a modern, fully-equipped kitchen, a dining table, sofa, and a flat-screen TV. There is 1 bedroom, which is en suite. There is also a washing machine. Towels and linen are included. 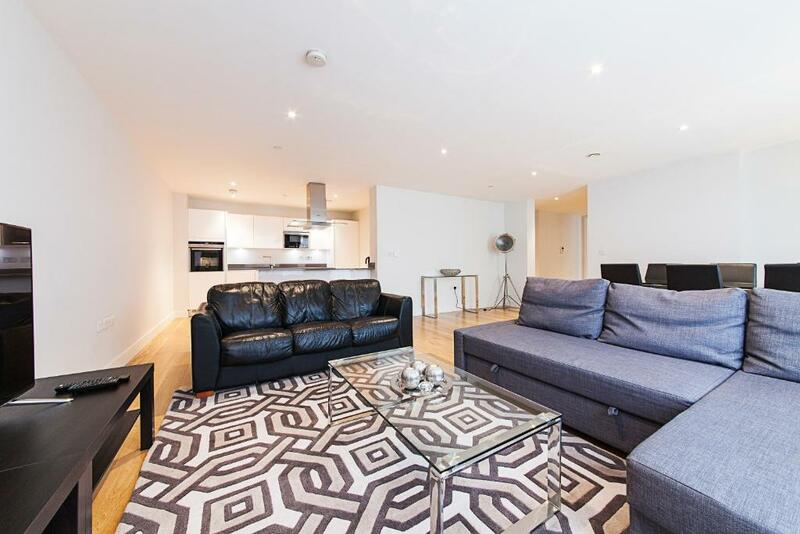 This apartment is located in central Cambridge, next to Parker's Piece. There is 1 double bedroom with built-in wardrobes, a bathroom, living/dining area, a fully equipped kitchen and two sofas, one of which is a sofa bed. This apartment features a kitchen, microwave and toaster. 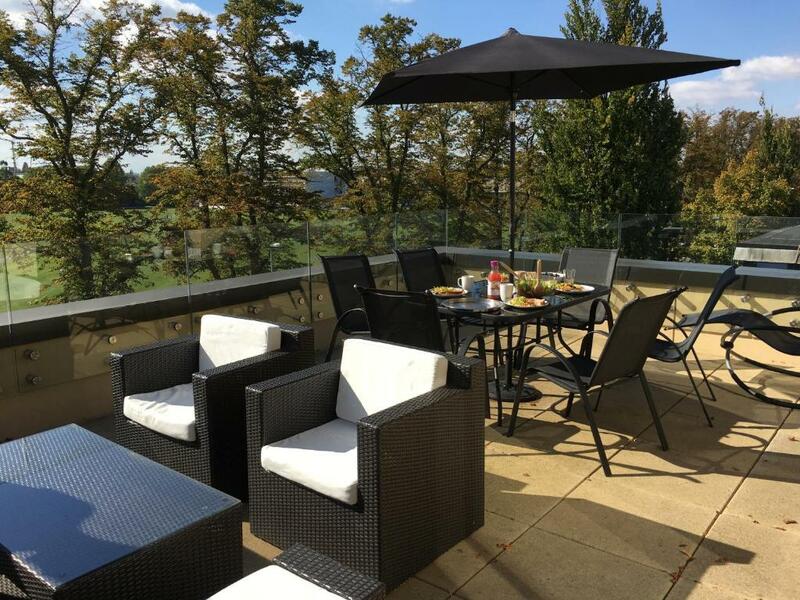 Located directly opposite Parker's Piece, this apartment has a terrace which overlooks the courtyard and outdoor furniture. There are two parking spaces allocated to this apartment. It is 15 minutes' walk to Cambridge Train Station, or 7 minutes by car. We honestly believe our apartments are located in what we believe is arguably the best location for Luxury Serviced Apartments in Cambridge, you are close to "Everything". The views over Parker's Piece are stunning! And the build quality is of the highest. House rules Pinnacle Residences - Central Cambridge takes special requests - add in the next step! Pinnacle Residences - Central Cambridge accepts these cards and reserves the right to temporarily hold an amount prior to arrival. After a booking is made, you will receive an email from the property with further instructions regarding the payment procedures and the key collection. Final cleaning fees are included in the price. Any guests who breach the terms and conditions, receive complaints from residents in the building, or are found to be partaking in illegal activities will be charged, and money will be taken from the security deposit. Please note that this property does not allow any Birthday parties. The beds were a bit on the hard side and there was an odd smell in the corridor leading to the apartment. The grouting on the bathroom floor tiles needs to be redone. May be a slightly bigger bed. The damage deposit was a bit too much at 300 GBP. Also had to get in touch with the owner to receive it back. Only 3 mugs and there were 4 of us so someone always had to have a small coffee cup. It's minor I know but easily rectified. We could not work out how to turn the heating down. Communication should be improved. Some thicker curtans in windows are needed. Some reperation work in the bathroom highly recommended, as the missing joints between the tiles on the floor did not impress me. The beds were comfy; the apartment was bright and comfortable. Very quiet! The kitchen well equipped. The location - GREAT! However, the communication with the office - not always successful. For example, my messages were not always carefully read. When I texted them on my arrival day that "I should arrive in an hour, i.e. at 4:30 pm", and I was mistaken about the time, as at the time of writing it was already 4:30 pm, I was later told off by sms that I was late. If my message had been read carefully ("in an hour" means "in an hour", and not NOW), the whole mistunderstaning would have been avoided. Fortunately, Diego, the person who welcomed us upon arrival was very kind, and all his explanations were clear and sufficient. So we had a very nice welcome, in spite of the sms exchange with sombody from the headquaters. One day before our departue I sent them another sms, asking if leaving 30 minutes later (10:30 instead of 10:00) would be allowed, but I NEVER GOT any answer. We left on time, 10:0 sharp of course. So in general I assume there are some communication problems between custumers and the Pinnacle Residences office. The smoke detectors were very sensitive so when cooking, one has to put the cooking ventilator on the highest setting. The location was excellent. 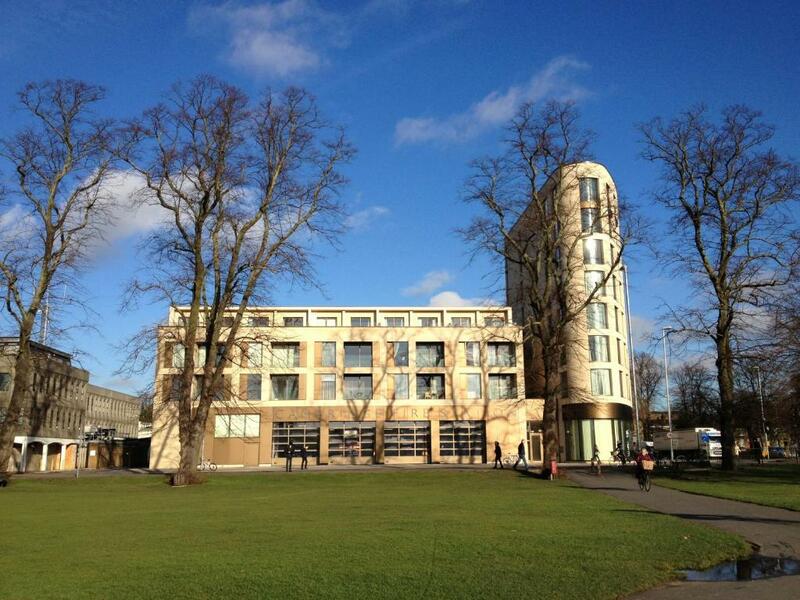 Within walking distance to town, river Cam and major colleges. Close to great restaurants, shops and museums. The apartment was very clean, spacious and comfortable with all mod cons. Wonderful shower and bathroom and amenities. 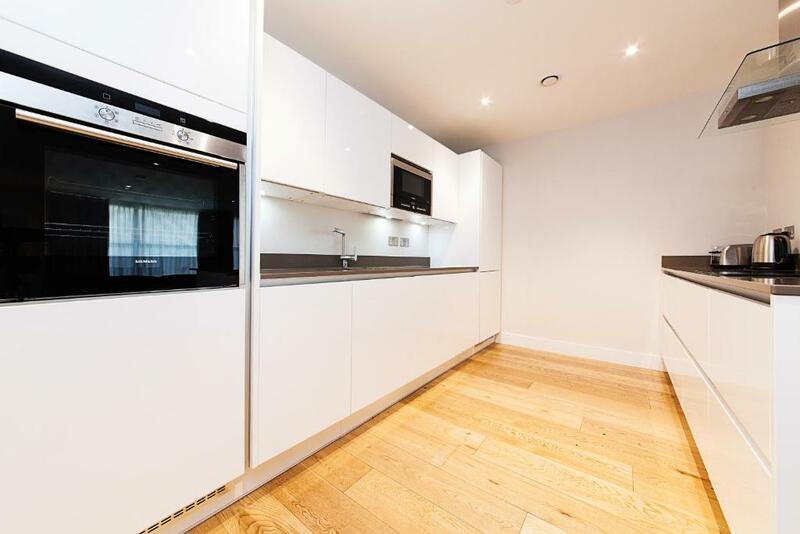 Great kitchen and utensils supplied. Just a few things which could be better were : a better iron, bigger cooking pots-only small ones were provided and difficult to cook with if you have a whole family with you; and there were a lack of hooks to hang coats, and no drawers and shelves for clothing. Great cupboards but only option is to hang everything on clothes-hangers.